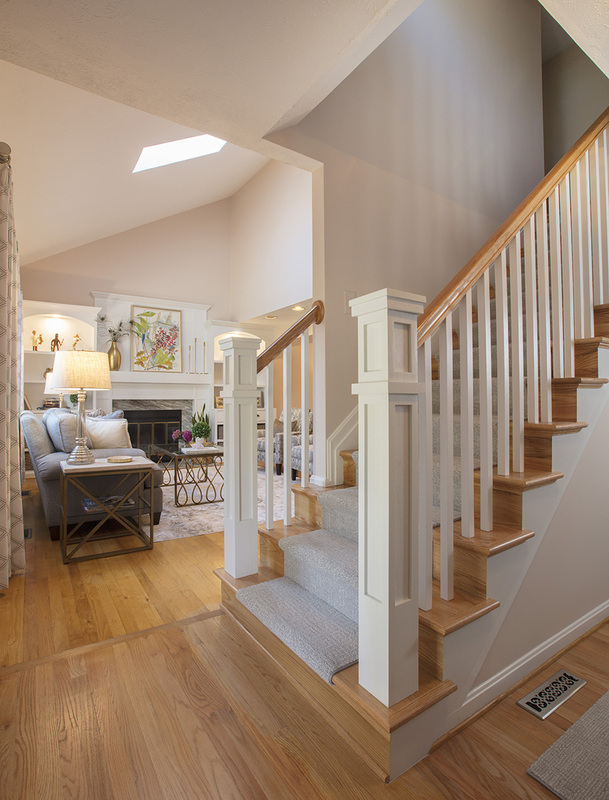 This complete room design was featured in Annapolis Home Magazine Design Talk. The varying lines of the vaulted ceiling, the lower soffet and windows created a challenge of designing a room that feels balanced. 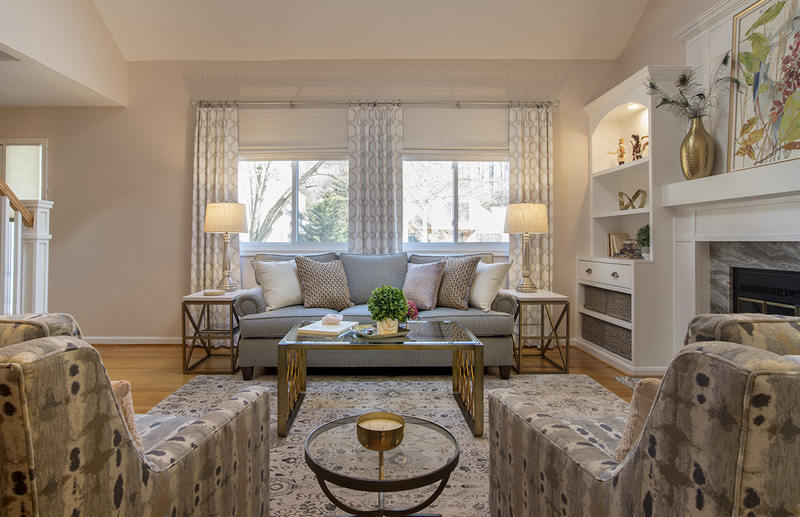 We began by creating a strong architectural line around the room starting with new built-ins flanking the fireplace and continued with the decorative drapery rod of the custom window treatments. 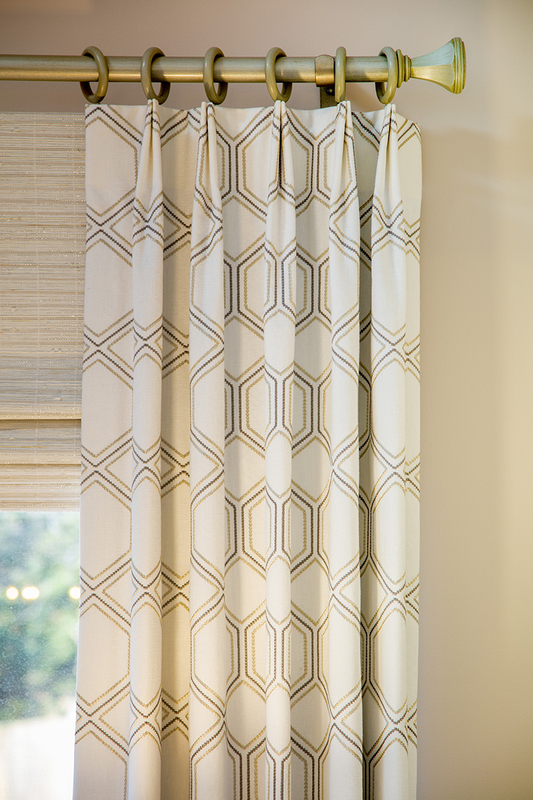 The woven wood roman shades and drapery panels were designed and installed to give the illusion of larger and taller windows. 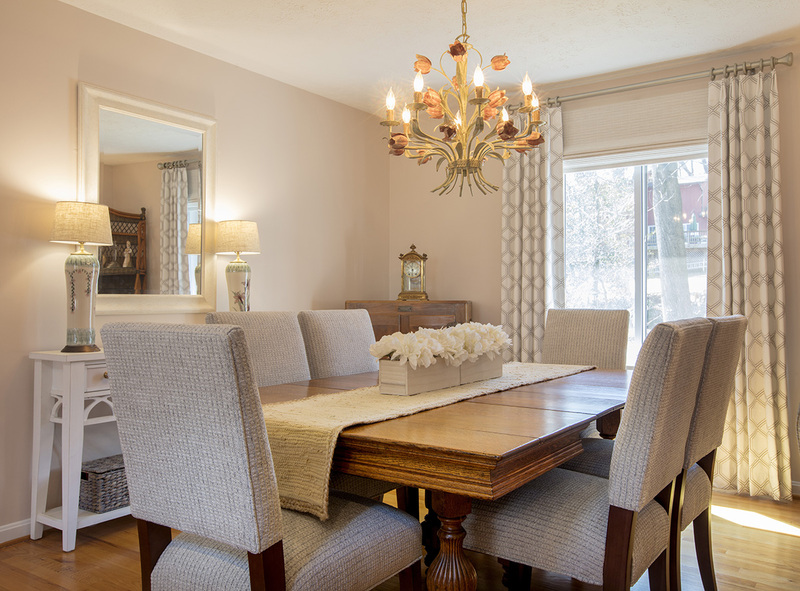 A room refresh included updating the wall clor to an on trend millennial pink, a neutral gray tweed sofa, a subtle but fun pattern for their accent chairs, and a beautiful wool and silk rug to anchor the seating area. 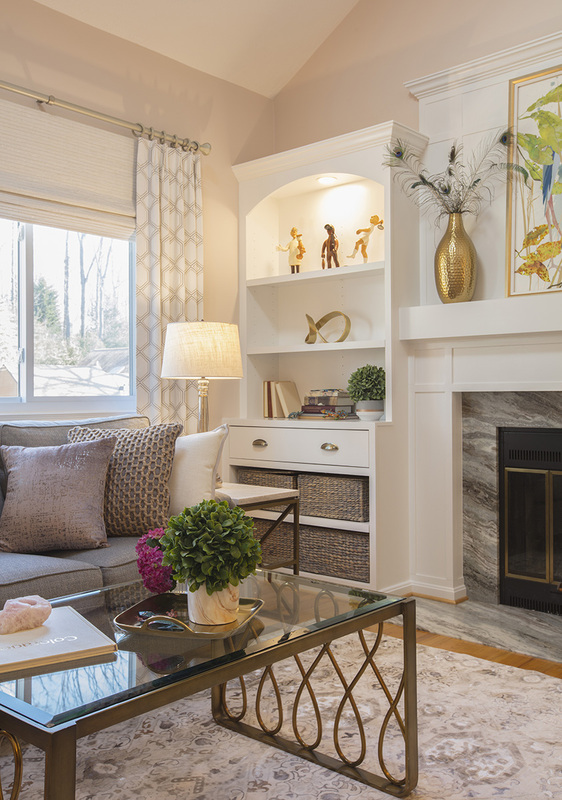 New lamps, coffee table, and accent tables with metallic, glass, and marble connect beautifully with the fireplace’s new stone surround.